The site lists that this application is for 32bit use, So the first thing before advising that it does not work is to check that you are running it on either a 32bit or 64bit system. 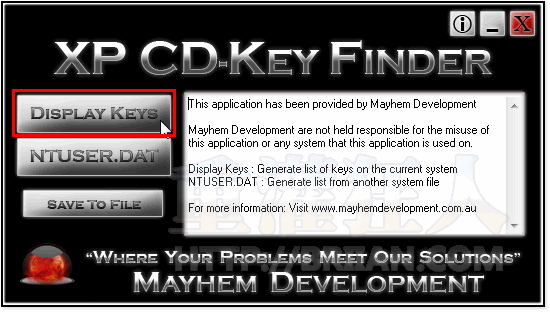 The application itself uses the same means as all other software for the 32bit processors. 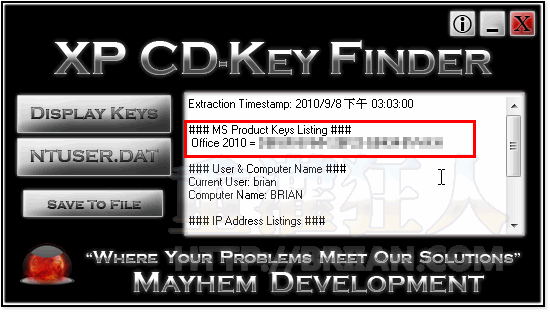 While this application is just a key grabber, It seems the main function is more for the system recovery side as we have been using this since we first found it many months ago and have been using it in out workshop for corrupt window boots.